I recently bought a gaming monitor, but I kept using the old HDMI cable that I’ve used for years because it’s what I had. This was a poor decision. As it turns out, I could get significantly better performance out of my monitor just by switching over to DisplayPort. For the woefully uninitiated (like me), DisplayPort is a type of display cable similar to HDMI that’s been around since 2008, but started to gain mainstream popularity around the mid-2010s. 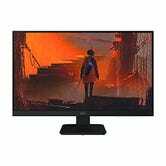 If you use your monitor for mainly office work, or just haven’t bothered to upgrade for a while, the entire standard might have passed you by. You might even already have devices that support DisplayPort and never noticed because you never needed to. If you’re using your computer to edit Word documents or fill out spreadsheets, what kind of benefit can DisplayPort offer? In a word, nothing. This is exactly why I never bothered to upgrade. I use my desktop for writing and very, very occasionally play games. That all changed once I decided to buy a proper (inexpensive) gaming monitor. Just like I always have, I plugged in my HDMI cable, tweaked a couple settings to enable a higher refresh rate, and fired up a game of Overwatch to try it out. My new monitor was good, but not quite as good as it could be. While my monitor supports AMD’s FreeSync technology, my graphics card only supports NVIDIA’s G-Sync. Both technologies allow games to use an adaptive refresh rate that eliminates troublesome tearing while keeping your frame rate high. There’s just one problem: HDMI ports don’t support G-Sync. Once I bought a DisplayPort cable and swapped to a new port, I was able to turn this feature on and voila. My games run much more smoothly. Which was kind of the point of buying a gaming monitor to begin with. Members of the Glorious PC Gaming Master Race have known this for years, but for the average person, it can be an arcane art figuring out which benefits one type of port has over the other when your devices support both. Fortunately, there are a few guidelines that can help. The chief benefit to HDMI is that most of your devices probably already support it. Everything from your TV to your graphics card to your Blu-ray player, and you almost certainly have extra cables laying around. Older HDMI 1.4 ports only support 4K up to 30Hz, which is plenty for movies, but not quite enough to get that buttery smooth 60fps (or higher) you’d want from fast-paced video games. To get the most out of a 4K monitor, you’d at least need HDMI 2.0 or above. For a home theater, HDMI is generally ideal. Most versions of HDMI 2.0 ports (specifically 2.0a and 2.0b) support HDR and new (but still extremely uncommon) HDMI 2.1 ports support 4K at 120 frames per second, or even 8K at 60 frames per second. On top of that, you can send Dolby Atmos audio over an HDMI 2.1 port, meaning your movies can show off the highest quality picture and audio currently possible with 4K TVs. 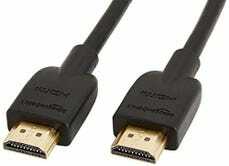 HDMI also only supports AMD’s FreeSync. If your monitor and graphics card both use FreeSync, then you won’t need a different port. In my case, I had a FreeSync monitor that just happened to work with G-Sync, which necessitated switching to DisplayPort, but you’ll need to check the specs of your devices. 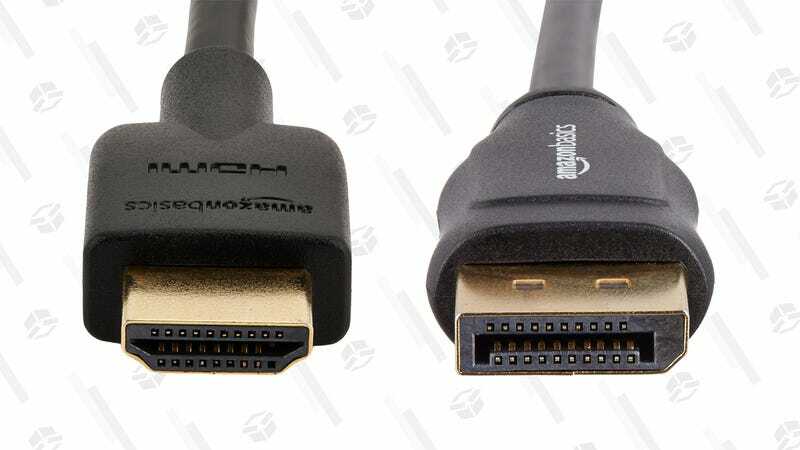 You probably already have some HDMI cables in your house, but if you don’t, the inexpensive AmazonBasics cables support HDMI 2.0, and come in almost any size you could need. All versions of DisplayPort also support 4K resolutions up to 60Hz. Building a machine that can actually run games at that level is still a pretty expensive task, so if you’re aiming for that target you probably already know you need DisplayPort. More importantly, though, DisplayPort supports both FreeSync and G-Sync. Your monitor and graphics card still need to work with each other, but it helps when the port and cable you’re using doesn’t matter. In my case, my graphics card supports G-Sync, while my monitor was designed for FreeSync but unofficially works with G-Sync. Since DisplayPort works with both, I could swap out my cable and get the feature working. 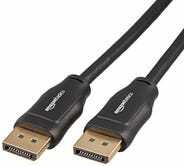 AmazonBasics sells cheap, high-quality DisplayPort cables for just a couple dollars more than their HDMI counterparts. Neither HDMI nor DisplayPort are inherently better at all things, but if you you plugged in all of your gear years ago, and haven’t given your cables any thought since, it might be worth a second look. If your devices support both, you could get a better experience just by swapping to a different port and cable.